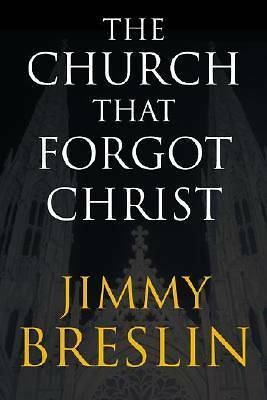 Pulitzer Prize-winning journalist, Jimmy Breslin has established himself as one of America's most distinctively Catholic voices. We have also come to know Breslin as the cocky guy from Queens, New York, who speaks insolently to powerful people and institutions, his words always tinged with a healthy amount of unsentimental outer-borough humor. Now, with a mix of sadness and anger, Breslin turns his sights on the Roman Catholic Church. After a lifetime of attending mass every Sunday, Breslin has severed his ties to the church he once loved, and, in this important book, filled with a fury generated by a sense of betrayal, he explains why.